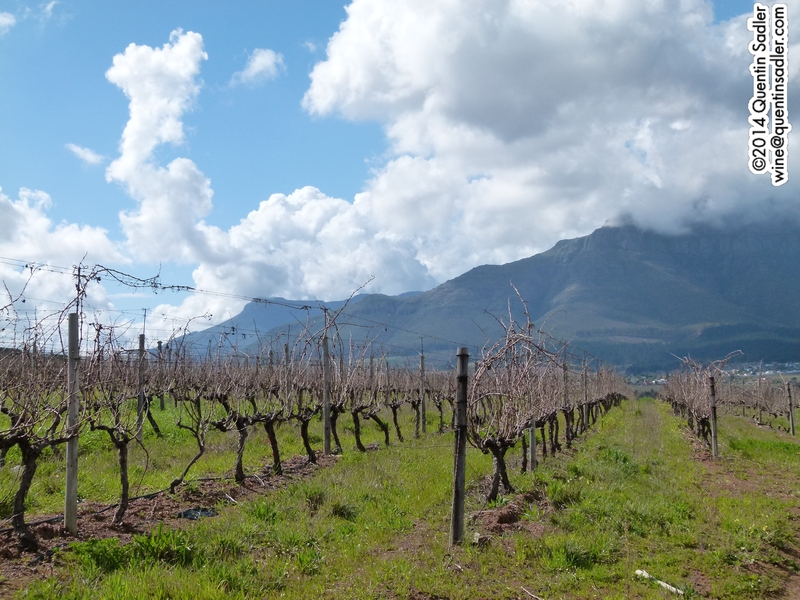 Beautiful vineyards at the Kleine Zalze Estate, South Africa. Finding the unexpected in wine is always such a delight for me that I can get really quite excited, especially when the wine involved is a total bargain as well. 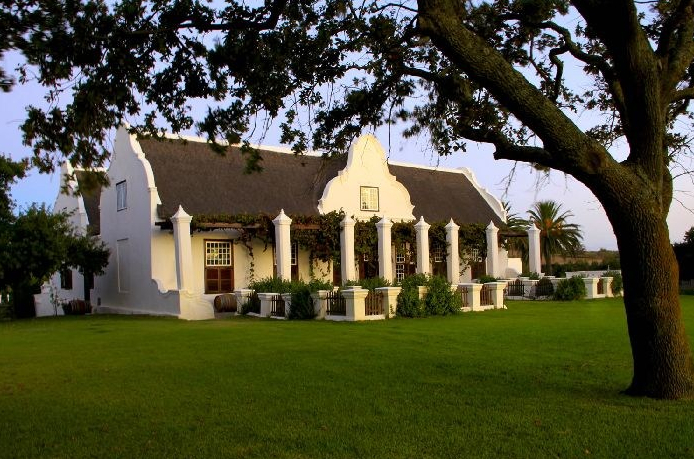 I love Kleine Zalze. 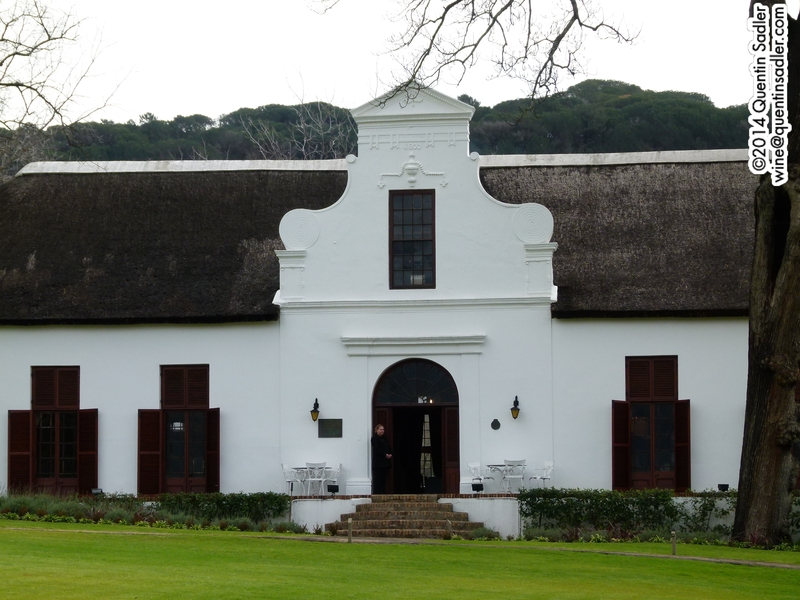 It’s a beautiful estate in South Africa’s Stellenbosch region and not only is it wonderful to visit – they have a superb restaurant – but they make some fabulous wines too, including some of the very best Pinotages that I have ever tasted. 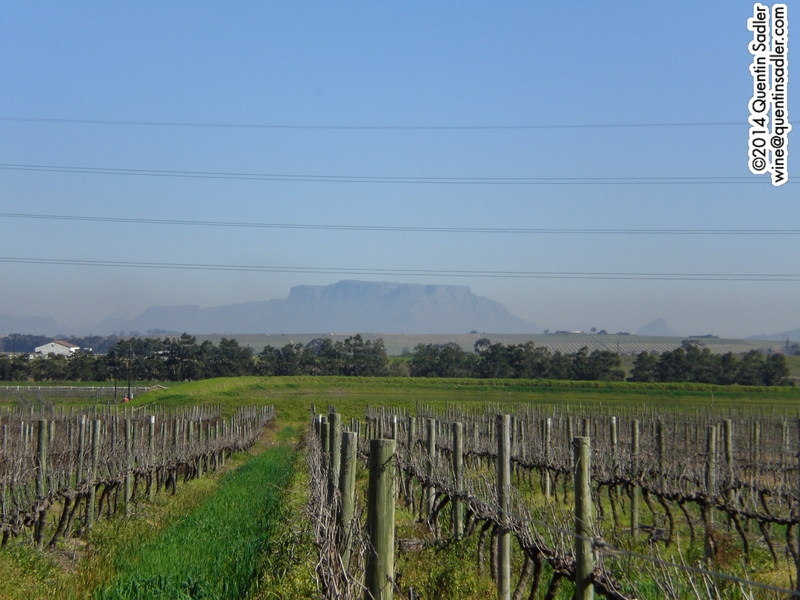 Everything they do smacks of quality from their inexpensive Cellar Selection range to their stunning Family Reserve wines – do try the Sauvignon Blanc from this range, it is very different and very fine. 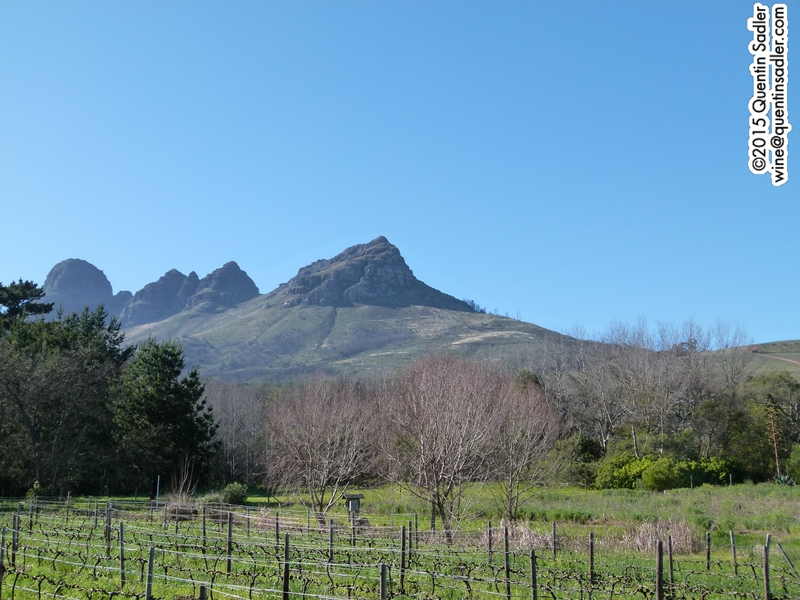 The presiding genius is winemaker Johan Joubert who is a lovely, engaging chap whose passion is infectious and even makes the technical stuff and science of wine seem very interesting indeed. 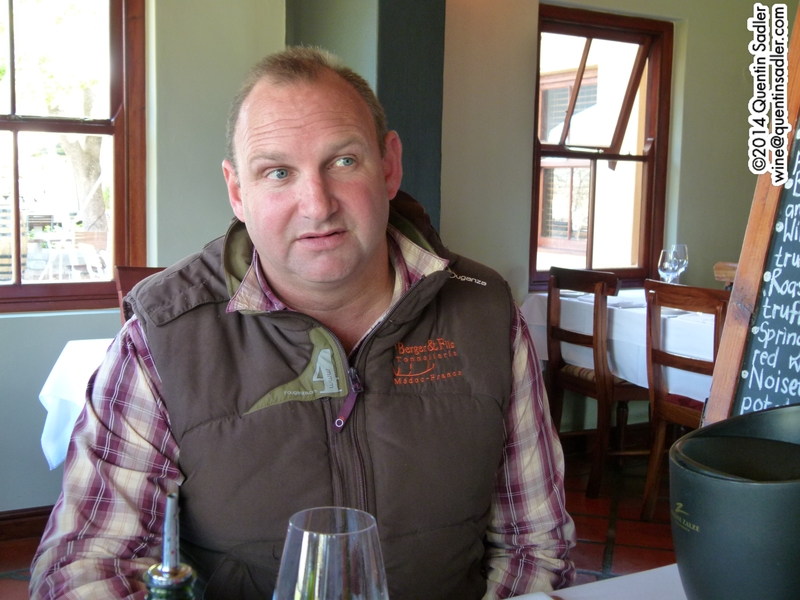 Johan Joubert, chief winemaker at Kleine Zalze and Zalze. 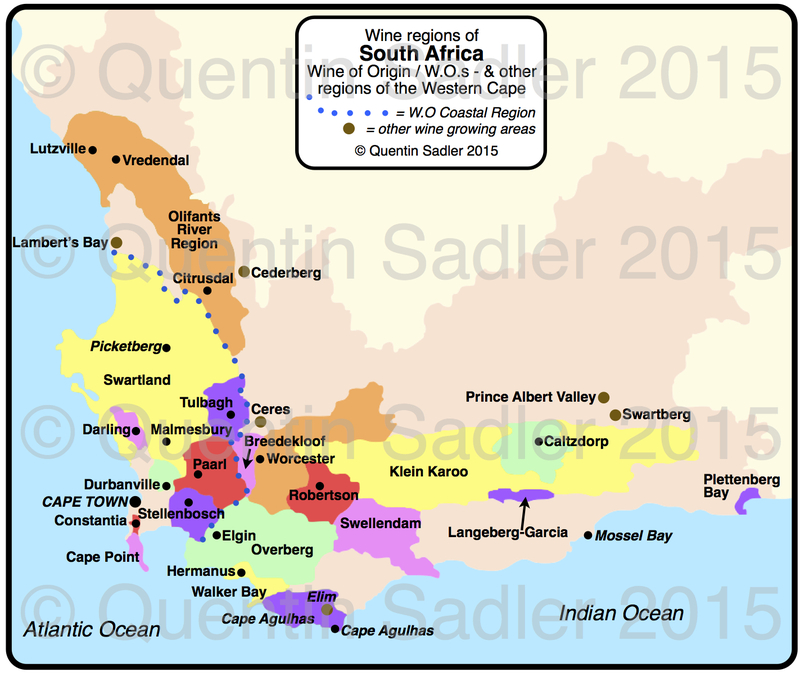 South African Sangiovese was a new one for me, but if they can all be as good as this then it really should catch on and be more widely grown. The Sangiovese grape has only been in the county for ten years apparently, but these results are impressive. The nose is rich with red fruit, floral aromas and spice, while the palate is attractively soft and juicy with fresh herbs, bright plum fruit, morello cherries, rich raspberry and smooth tannins. All in all this wine is a lovely, easy drinking fruit-packed wine, but it does not fall into the normal fruit-bomb trap of being simple and cloying, there is freshness, balance and a smack of complexity here, a lovely wine – 89/100 points, it earns high marks for being such great value for money. The equally good 2012 vintage is available in the UK from the Co-op at £7.99 per bottle.